The remnants of the Communist (Soviet) Left in the West have in general taken an antagonistic stance toward China – accusing around one-fifth of the earth’s population – of deviating from the path of Marxism, and onto the bourgeois path of Capitalism. However, Marx (and Engels), clearly stated in their 50 volumes of theoretical postulation, that ‘Scientific Socialism’ is the natural outcome of the highest level of the development of Capitalist market forces. Without the presence, functioning, and advanced development of Capitalist market forces – a point agreed upon by Lenin, Stalin, and Mao – ‘Scientific Socialism’ cannot be developed as the material conditions have not yet been produced (through the labour of the masses) and as such, are not present to serve as the socio-economic foundation for the next essential step of the evolution of society into a distinctly ‘Socialist’ manifestation, as an epoch-making stepping stone into the state of Communism. Why is this the case? Why doesn’t the Western Left, in general (excluding sympathetic individuals and various special interest groups), choose to act in Marxist-Leninist solidarity with its comradely Chinese counterparts? Why does the Western Communist Left – which has never succeeded in leading a revolution, nor in the establishing a Socialist State, take the position that the Chinese people – who have fought (and died) to successfully achieve a revolution, and subsequently established (through their labours) a Socialist State – take the position that the Chinese example of purposefully applying the theory of Marxist-Leninism to concrete reality, is not equal to, or worthy of, as yet untried Western notions of the same theory? Of course, the answer lies purely in historical conditions, the strands of which can be clearly discerned through logical analysis. Khrushchev’s betrayal of Stalin (and Marxist-Leninist theory) in 1956 firmly set the course of the USSR to its inevitable collapse in 1991, and laid the foundation for the so-called Sino-Soviet split. 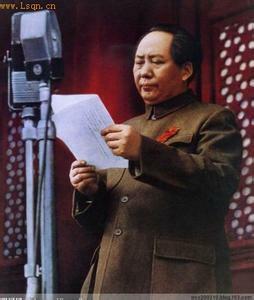 The Sino-Soviet split saw China’s leader Mao Zedong openly disagree with Khrushchev’s line, declaring it ‘unMarxist’, and through this rejection, saw the enforcing of the Chinese Communist idea that Stalin’s example was correct, and that Khrushchev’s action was motivated by a bourgeois desire to pander to Western capitalist opinion. At this time, (and throughout the subsequent years that culminated in the collapse of the USSR), China asserted that Stalin was correct and that Khrushchev was wrong. China’s action elicited the predictable Soviet response of the time, which saw the USSR ceasing to acknowledge the relevancy or correctness of the Chinese Communist Revolution of 1949, and the summary ideological dismissal of all progressive achievements produced by the Maoist regime. Despite Stalin’s formal dissolution of the Communist International in 1943 – due to what he viewed as its redundancy at that particular point in time – the Soviet Union retained a more or less iron-grip on all ideological disseminated throughout the world-wide national branches that comprised the Communist Party. From 1956 onwards, it became Soviet State creed to nullify and denigrate any and all Chinese Communist achievements, and re-write Marxist-Leninist history by excluding the legitimacy of Mao Zedong and the Chinese Communist movement permanently from it. As Khrushchev effectively betrayed the October Revolution of 1917, (and the Soviet movement in general), it logically follows that his policy toward China was also corrupt and ideologically untenable, as it deviated from the rigors expected of historical dialectical analysis. In this regard, the October Revolution of 1917 ended on February the 25th, 1956 with Khrushchev’s so-called ‘Secret Speech’ (soon afterwards conveniently ‘leaked’ to the Western media) which was delivered to the 20th Congress of the Communist Party of the Soviet Union (CPSU). Strong leadership and centralisation – all Marxist-Leninist policies – were all called into question by Khrushchev as he criticised what he believed to be the ‘dangerous cult of personality’ associated with Stalin’s tenure as the leader of the Soviet Union. Part and parcel of this ideological sleight of hand, was the concomitant demonization of Communist China. The problem with this ‘rightest’ deviation from Communist comradeliness, is that it plays directly into the hands of the political rightwing and gives fuel to the racially motivated ideologues. Many in the West oppose China from a position of residual racism. This is the bourgeois position of the need to denigrate and demean at the point of contact, used as a means to control and subordinate anyone, or anything that is perceived or ‘declared’ as ‘different’, and deviating from the presumed ‘norm’. On the political Right, the pseudo-science of racial eugenics and social Darwinism is encouraged by this racialization of the ‘other’, whilst on the Left, Eurocentric racism is hid behind a thin veneer of justifying, and misconstrued pseudo-Marxism. In both cases, bourgeois racism is the motivating force that Khrushchev – either deliberately or unwittingly – unleashed upon the world. Whatever the effect of this bias and distorted policy, China – and Chinese Communism – ignores its presence and continues unabated. This ‘ignoring’, although ideologically correct, nevertheless tends to encourage the racists – who perceive this independent and confident behaviour as more examples of barbarous deviations from the established norms of bourgeois civility. The dialectical reality is that China has steadfastly pursued the path of Marx (and Engels), which has included learning from Lenin and Stalin. However, as the Soviet Union is no more, it is China (amongst a number of other Communist countries and former Soviet Republics) who are following the path of Scientific Socialism, and continuing to authentically apply the Marxist method to ever changing times. The contemporary Left in the West should unite its disparate and competing branches, before further uniting behind process of the development of contemporary of Marxist critique, and actively assist this world-wide process in peace and equality. China has unflinchingly followed the revolutionary path without deviation, which has meant the need to development capitalist market forces in her country as a means to develop Scientific Socialism, and her example should serve as a beacon to progressive humanity.